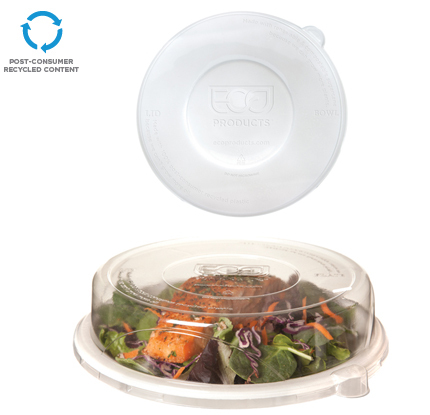 100% Recycled Content Plate & Bowls Lids fit tightly on our 9 in. plates and 24 & 40 oz. sugarcane bowls to keep your treats securely in place. Just like their matching plate/bowl, they are hot and cold food friendly. With their environmental benefits are embossed right on the top, you can clearly see that these recycled content lids help save resources and divert waste from landfills. Products made from recycled materials keep plastics out of landfills and oceans.Choosing post-consumer recycled materials saves valuable resources. 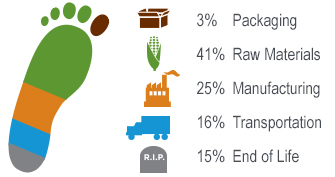 Helps increase the demand for post-consumer recycled materials in more products. Instead of heading straight to the landfill, all of the material in this container was repurposed into a new product. NEW! Top off the 9" plate with these snug lid toppers. Fits 9 in. plate only. Dimensions: 5.4 x 5.4 x 2.0"
7.3 x 5.0 x 1.6"
8.8 x 5.9 x 1.4"